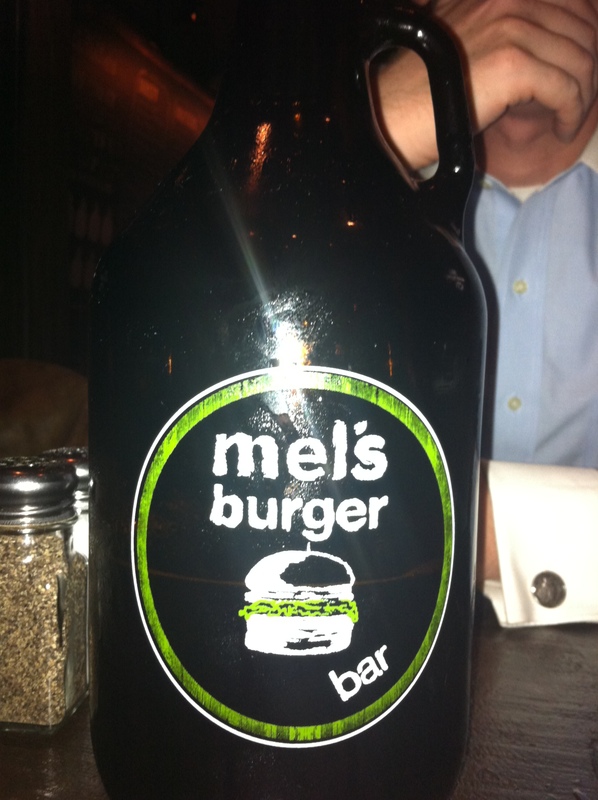 Burger lovers, there is a major new contender on the scene: Mel’s Burger Bar. The recently-opened restaurant near Columia University gets more right than many other burger joints. It is still going through some growing pains, but boy, is it terrific. The menu (and mission statement) is in chalk along the wall. One the many things Mel’s gets right is the decor. The restaurant’s vibe feels more like a saloon, and there’s a good, homey feel. The menu is written on the large blackboards that cover the wall (as well as presented at your table). The tables themselves are relatively roomy compared to some other burger joints, which often try to cram you in like sardines. The joint’s soundtrack is southern and classic rock. The waitstaff and hostesses are young, charming and helpful, and seem to reflect the core demographic of the area: Columbia Students. One of the things I like most about Mel’s – and I think is a distinct advantage to a number of the burger joints in town – is they have a serious bar, although they themselves are probably looking to make a name with their solid selection of craft beers. They serve those beers by the pint or in growlers, their variation on a pitcher. Sure, it’s hokey, but it lends a charm. I wonder if they’re tougher to clean, though. Enough about the aesthetics and liquids, let’s dip into the real reasons to come here. Scallions drizzled atop the Popcorn Shrimp. We started with some popcorn shrimp. The batter feels more like a tempura then the gritty, crumbly kind of fry batter, but the result is very good: a crisp, fried layer with some small prawns well preserved within. The shrimp have a good bite and don’t just dissolve into mist, without being tough. 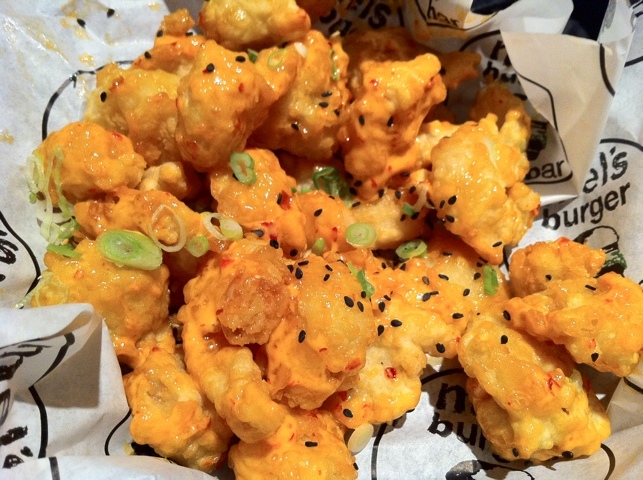 They are covered in delightful chili mayo sauce, which adds a zesty but mild heat. The sliced scallion wakes the dish up. All in all it was delightful. 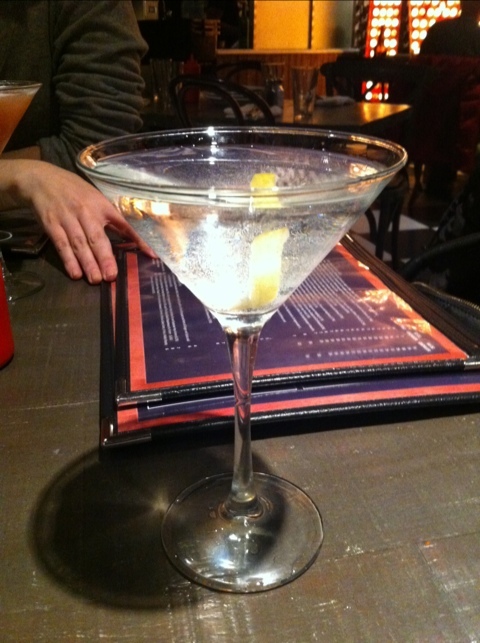 We’ve also sampled their fried pickles (not pictured), which were very tasty. I found though that the pickles slices were a bit too thin, so the batter-to-pickle ratio tends to slightly favor the batter. While I love me some fried pickles, these need a little work. I think it’s machine-cut pickle slices, I’d prefer a touch more thickness if possible. But that’s a nit-pick – I mean, it’s fried pickles! The Broadway. It's a hit. Let’s get to the star of the show: their burgers. Above you will see the Broadway, which may (or may not) be their signature burger. All I know is that the first time I came to Mel’s it was recommended to me, and boy am I glad I tried it. First of all, let me say that generally I am not a fan of tinkering too much with a burger. In my opinion, a burger should first stand on its own. I’ve been to Mel’s several times now, not only do their burgers stand on their own, but the Broadway is something special. As you can see, it is served on rye toast. The toast itself is toasted crisp, not sopped and mushy. It is however well buttered (or has a strong butter flavor). Between the rye, there’s a slice of Neuske bacon. It’s a thin slice, not a fat steakhouse-style slice, but it has a tougher texture and a strong, smokehouse flavor. 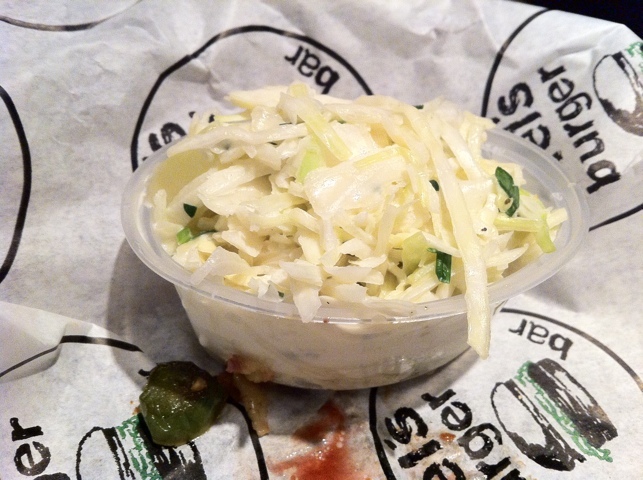 There’s Swiss cheese, onions, and jalapenos. The jalapenos wake the whole thing up and give it a fiery heat that’s walks to edge of being overwhelming without crossing the line. Instead, it sets off the close-to-the-bone flavor of the beef, which is sensational. I think, whatever their grind is, it must be fattier than most places, because it is so flavorful and beefy (and juicy) that it continually knocks my socks off. I should point out that they have the standard range of burgers at Mel’s, but I find myself coming back to the Broadway time and again. I’ll gladly vouch for any of the others (most of which are served on a traditional bun). Even the small portion of cole slaw you get on the side is delicious! It’s rich, fresh and crunchy – and somewhat minimalist, as ingredients go. At this point, the diet (at least for the evening) had gone right out the window, so we indulged in some fried Oreos for dessert. Yowza. They are served with a hard dollop of ice cream in the middle. 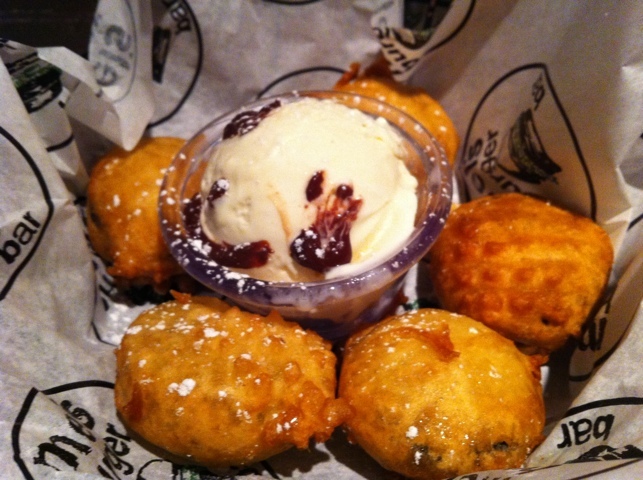 The fried Oreos are doughy, though their flavor comes through in spades. It was more like having an Oreo doughnut hole, but I’m not complaining. The ice cream was served pretty hard, but got nice and melty on the hot Oreos. I’ve yet to try the shakes (spiked or otherwise) they serve. As you can tell, the experience at Mel’s was terrific. In the several times I’ve been there, I’ve encountered only one significant problem: the medium-rare burger I ordered came out well done. I know a new place needs time to work out the kinks. Even the well done burger (which I ate, I was hungry) was delicious. 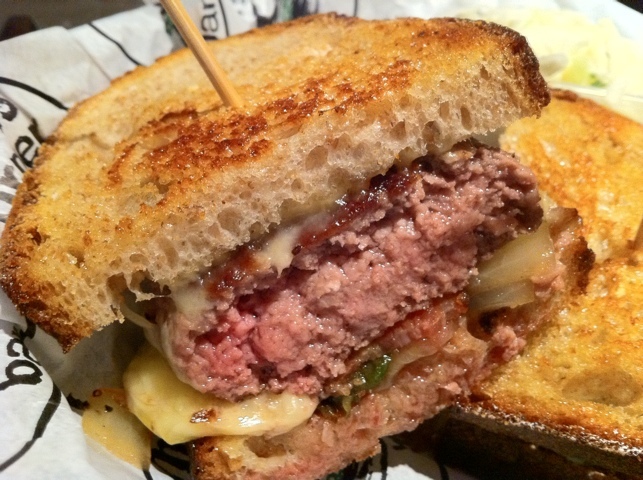 The close-to-the-bone flavor came through, and ordinarily I think of a well-done burger as a waste of a piece of meat. 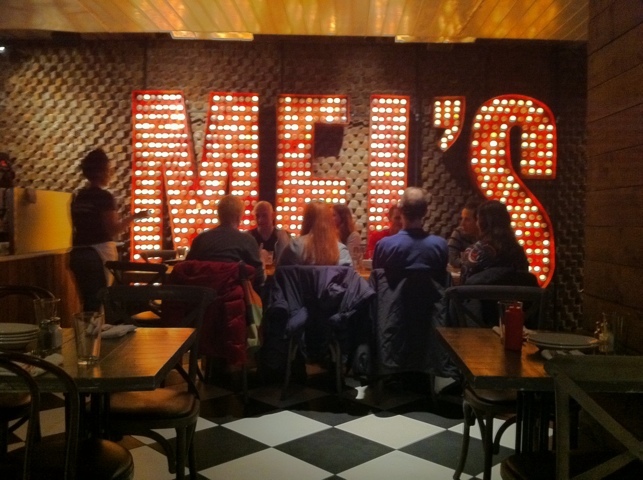 It’s only a matter of time until the rest of the world catches on, but I sure hope that as Mel’s continues to grow and expand (as it undoubtedly will) they can keep up this level of quality. 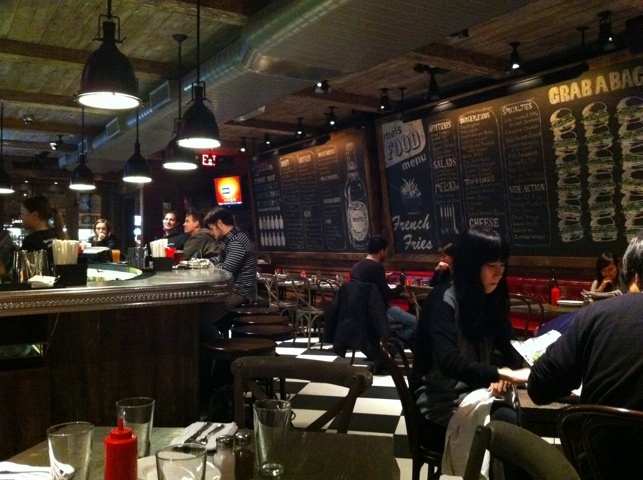 The place eats Shake Shack’s lunch and chews up most other burger joints in town. It is a quality experience at an affordable price, and I highly highly recommend it.